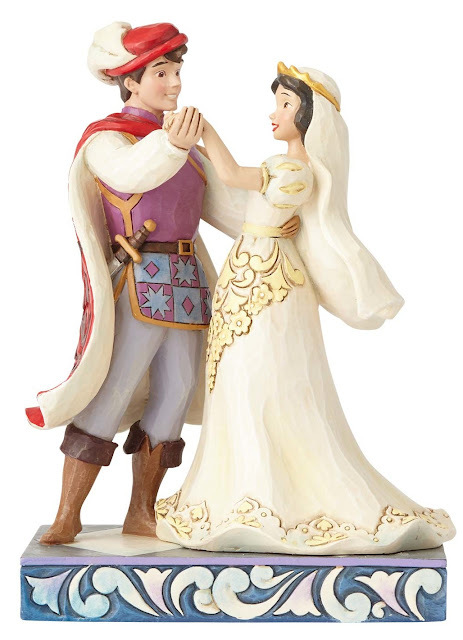 Snow White & Prince Wedding figurine from Jim Shore's Disney Traditions line. Part of the Royal Wedding Couple five-princess series. 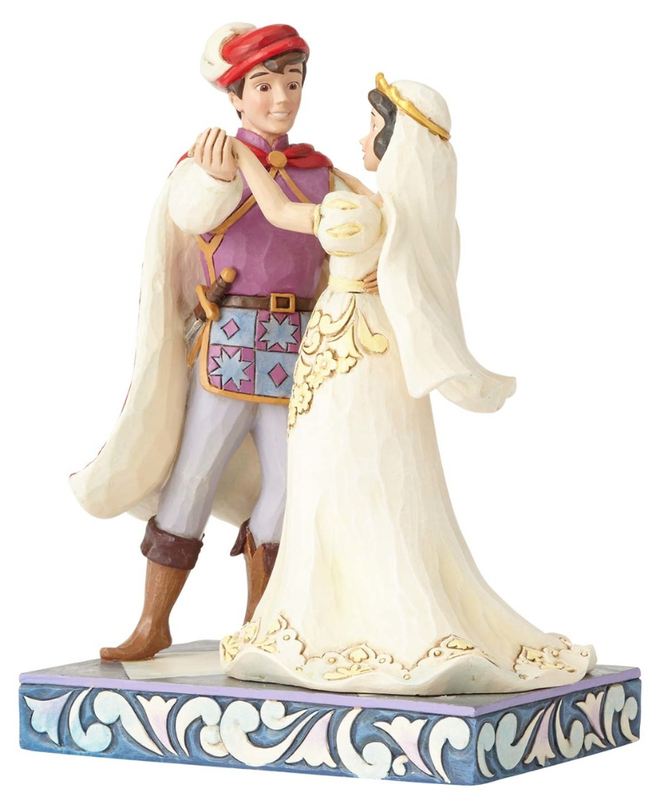 Announced in early September 2016, with an estimated availability from retailers on February 15, 2017. Hand-painted stone resin. Measures 6.125” tall. 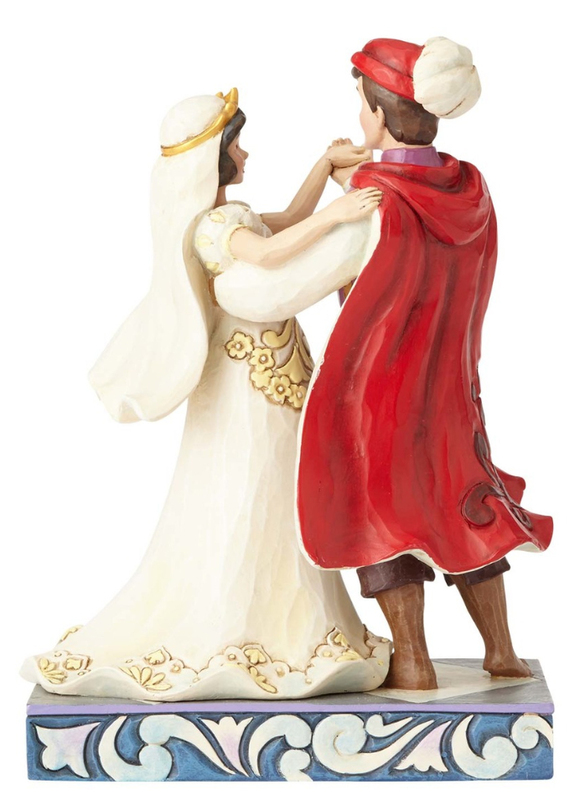 Enesco Item 4056747. 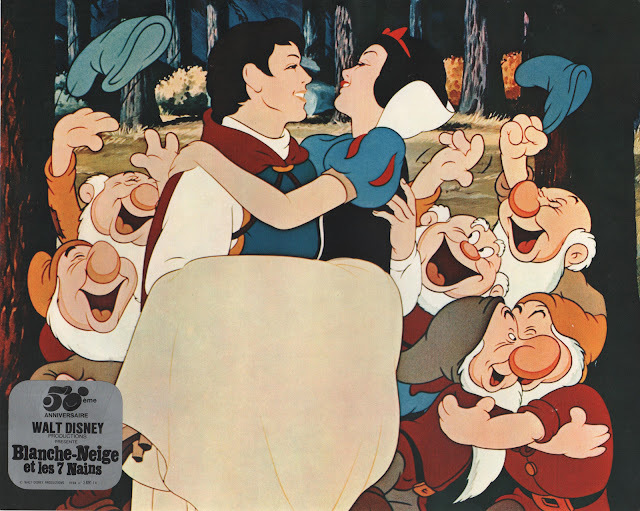 UPC Code 045544904506. 1941 Premiere. 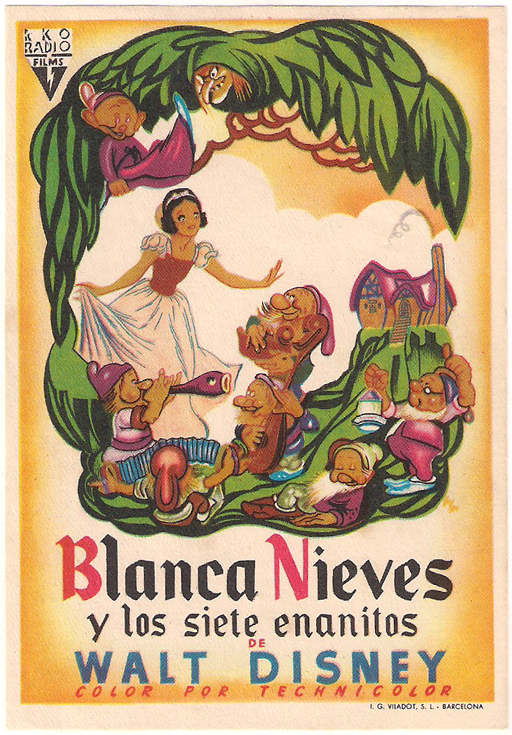 Distributed by Filmofono in Spain. 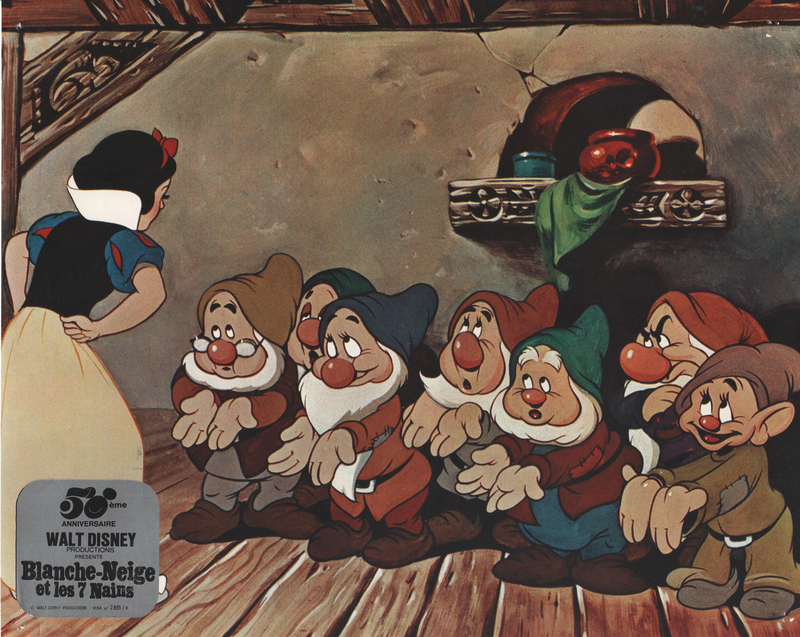 These little flyers were handed out to the public, announcing the film screenings of Snow White. 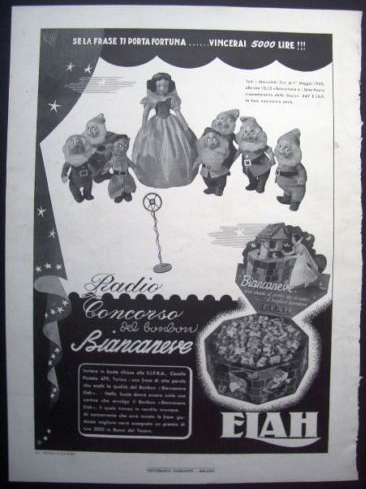 Usually, they would include information on the back about the cinema and its show times. 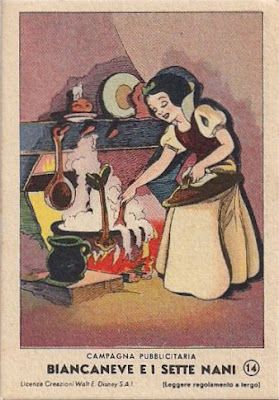 Dimensions: 3.25" x 6.25" (8,3 x 15,9 cm). Images courtesy of Greg Philip of A Lost Film. 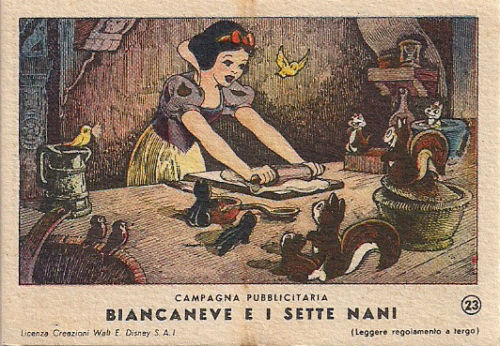 A series of 50 numbered Snow White collectible cards--referred to as "figurines" in Italian--were produced from 1939 to 1940 by candy manufacturer ELAH. 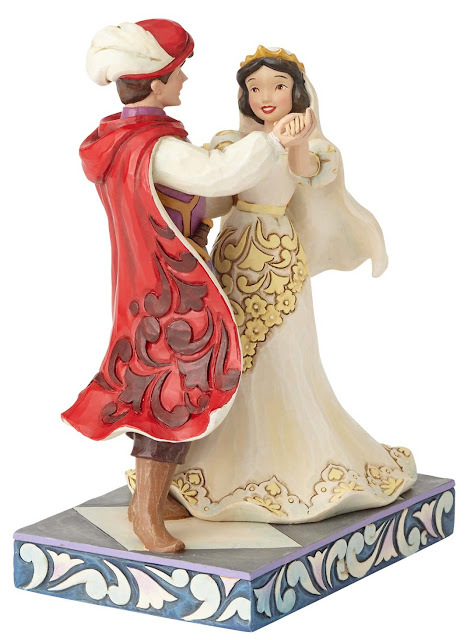 Officially licensed by Creazioni Walt E. Disney S.A.I. 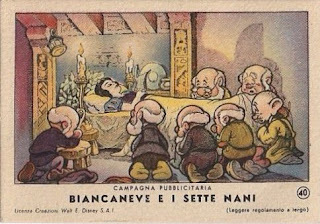 and printed by Gros Monti & Co. of Turin. Reverse side of 47. 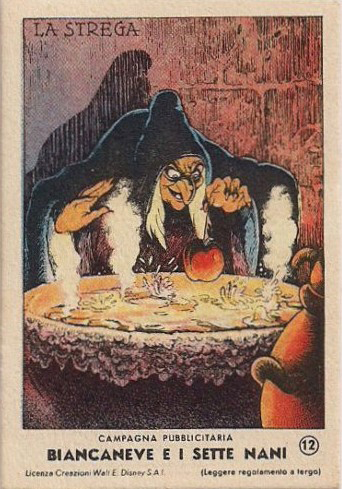 "Good free prize..."
These types of cards were often produced in association with a "sticker" album, in which they would be glued into place. 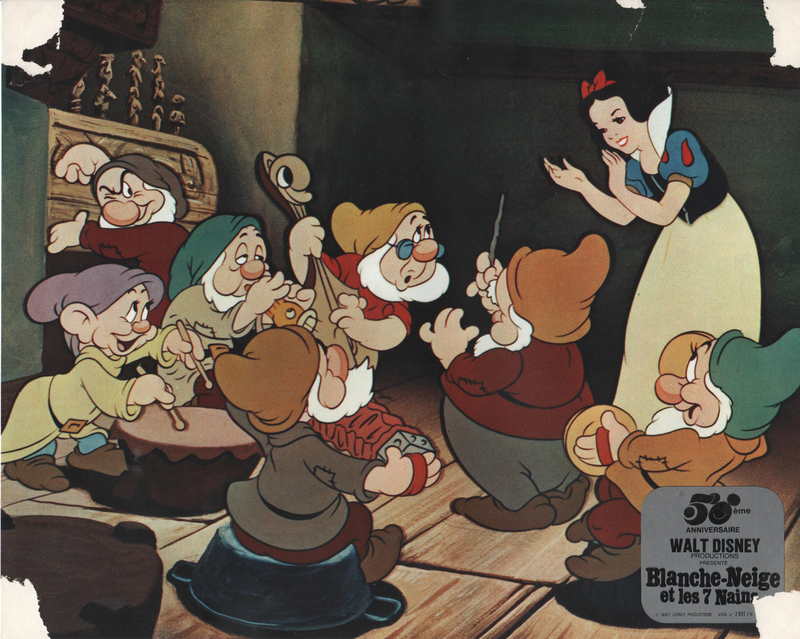 However, we haven't yet come across a booklet for this particular set. Locating the complete collection is also proving to be a challenge. The above card images were found online here and here. 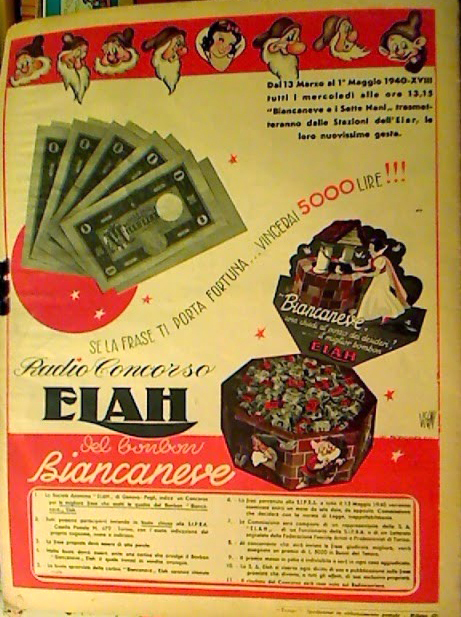 ELAH was an Italian producer of sweets, chocolates, and candies. 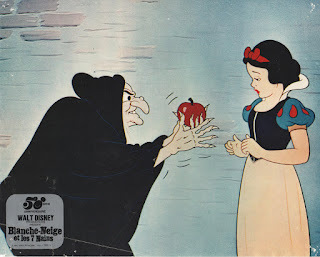 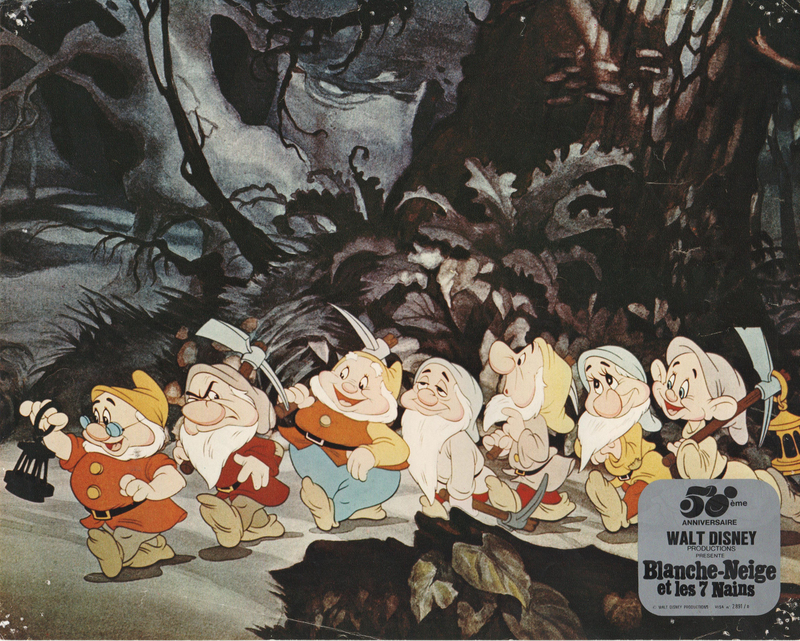 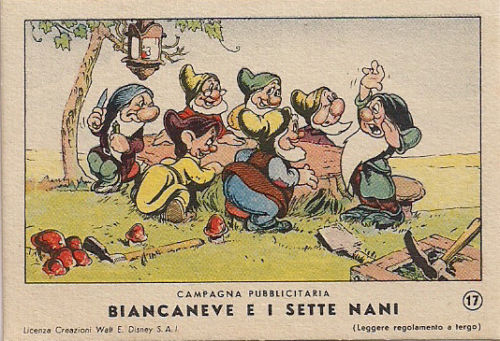 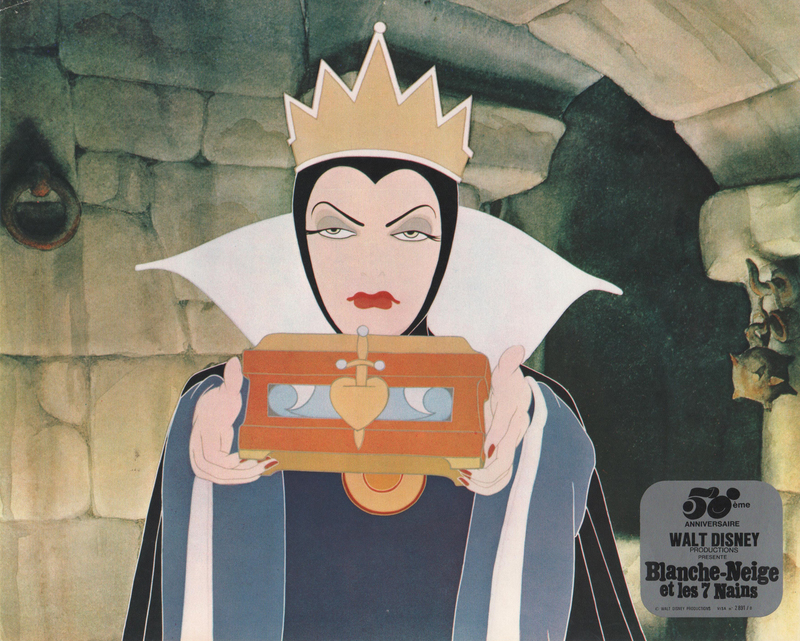 In 1939-40, they made a candy called “Biancaneve” which was licensed through Creazioni Walt Disney S.A.I. 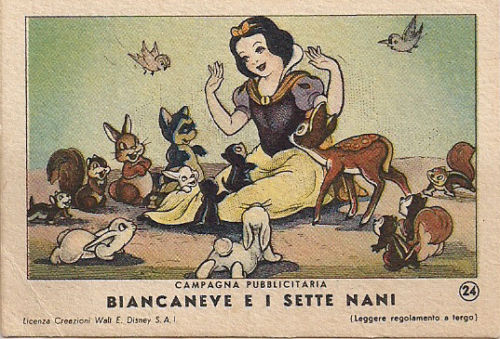 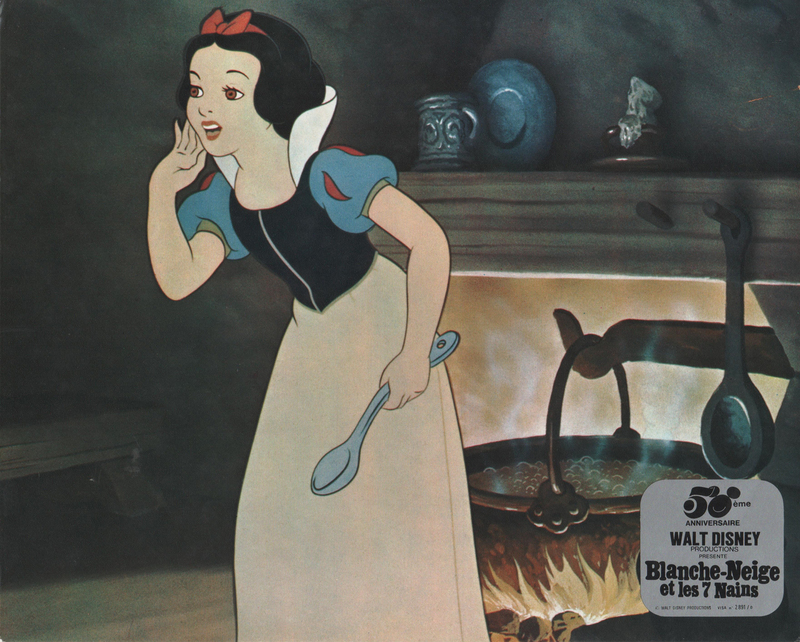 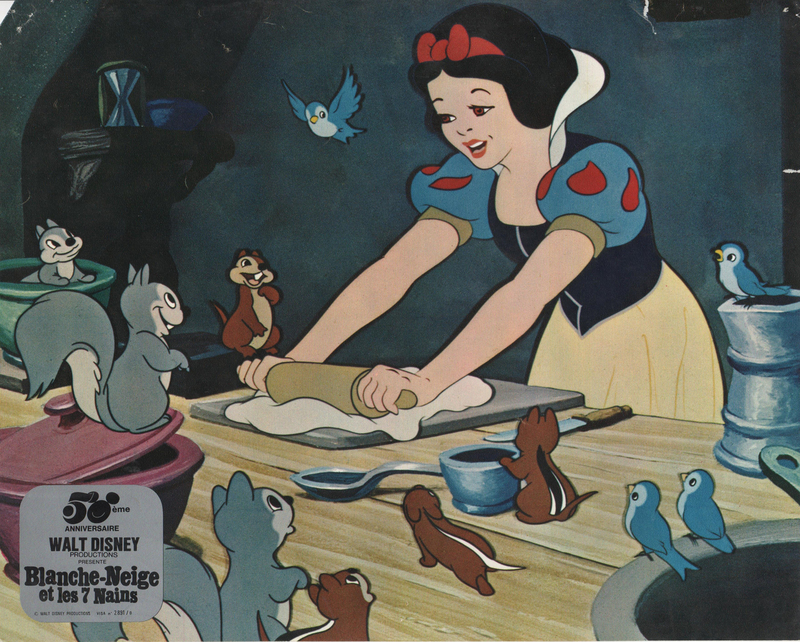 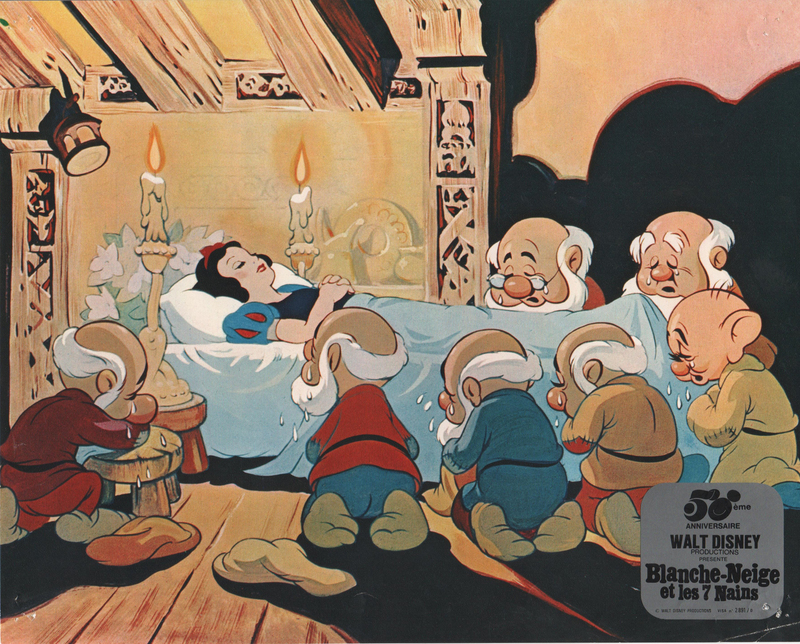 The Snow White characters were used in a couple 1939 magazine ads. 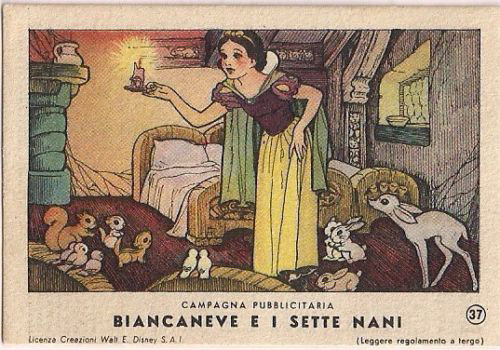 This first one includes an image of a store display box full of individually wrapped Biancaneve candy. 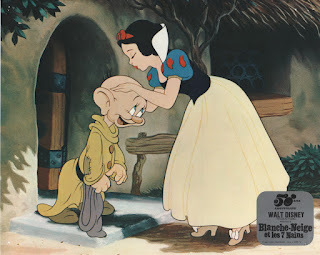 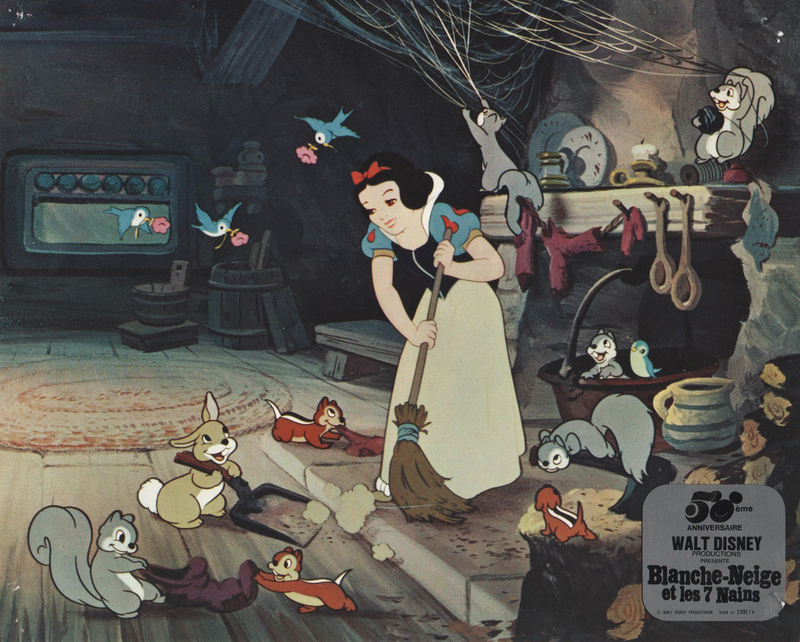 Another shows an illustration of Snow White at the wishing well. 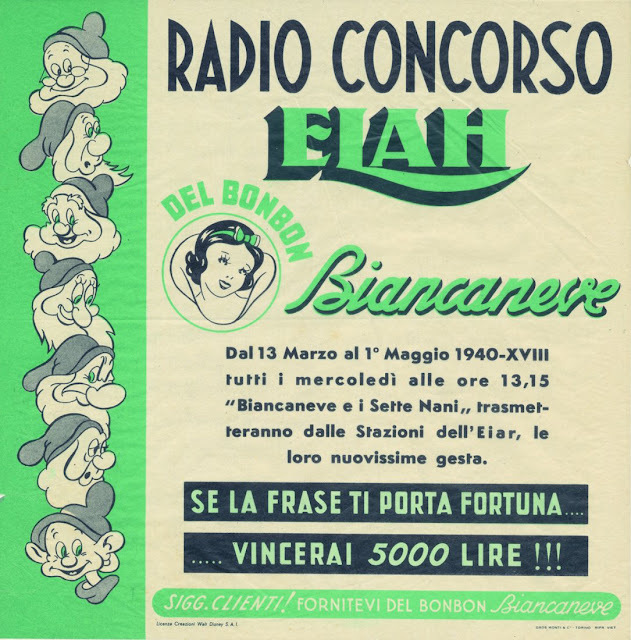 ELAH Radio Competition for the Snow White candy – from March 13 to May 1, 1940, every Wednesday at 13:15 PM, 'Snow White and the Seven Dwarfs' will be on the air from the E.I.A.R station with their new adventures. If you are lucky with your phrase, you will win 5000 lire! Customers! Be sure to get the BIANCANEVE Candy! The radio contest worked like this. 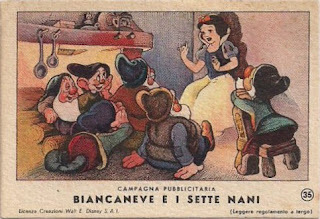 Entrants would have to come up with a phrase to describe the qualities of the Biancaneve bonbon, write it in a letter, and mail it--along with a Snow White candy wrapper--to SIPRA, the advertising agency for Italian National Radio (EIAR) in Turin. The winner would be chosen on-air during the Snow White program. The prize of 5000 lire was a good amount of money at the time. 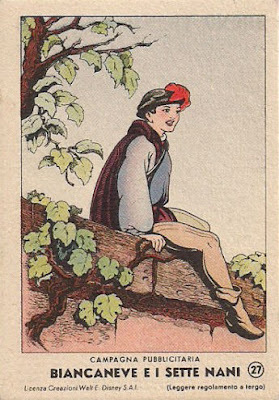 The leaflet is thin paper. 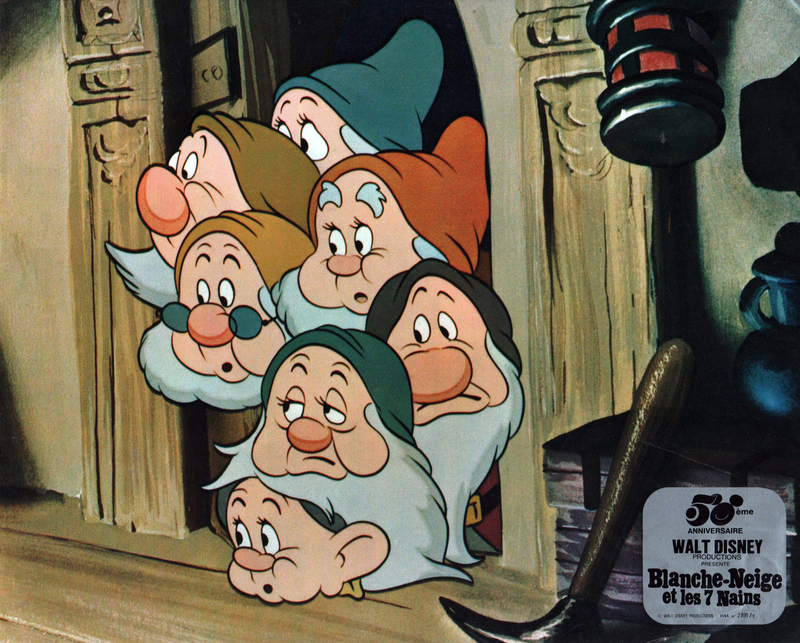 Dimensions: 22 x 22,5 cm. Printed by Gros Monti. 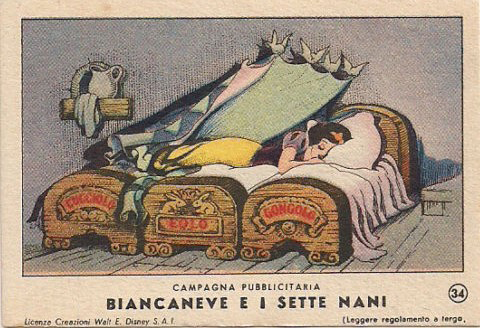 Leaflet image via Little Nemo Auction House. 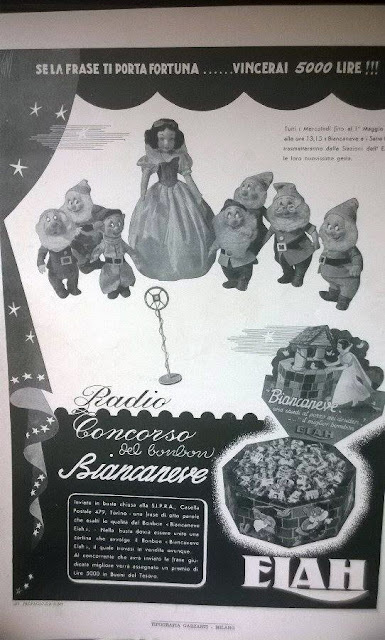 The contest was also promoted in magazines. 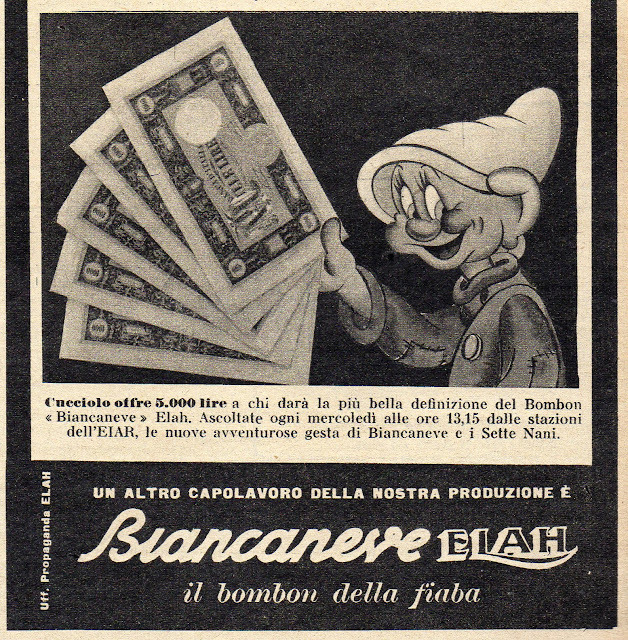 Dopey is shown holding prize money in his hand. From Tempo (Time) magazine no. 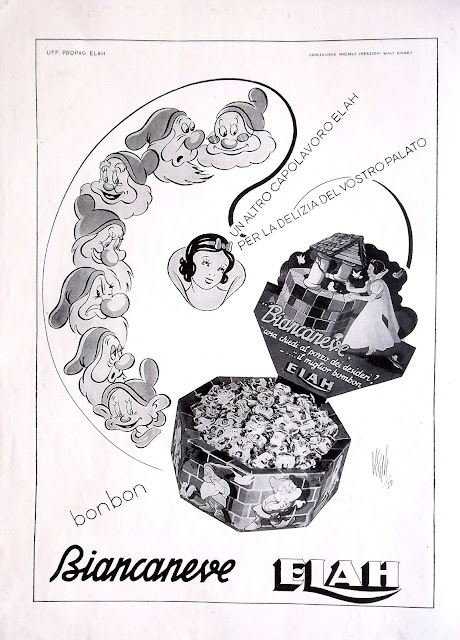 45, April 4, 1940 (p.3). 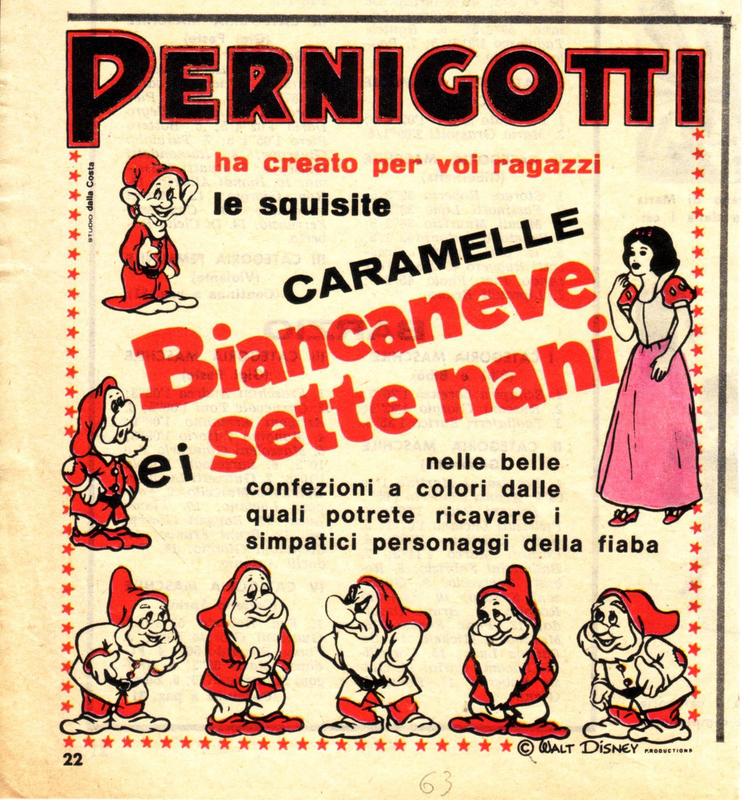 Color ad from the back cover of Tempo magazine no. 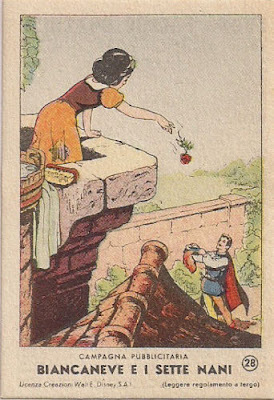 47, April 18, 1940. Special thanks to Nunziante Valoroso for providing image scans, translations, and additional information. 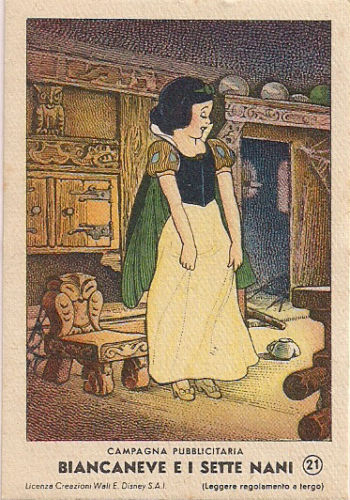 In the next Archive entry, see a series of Snow White trading cards ("figurines") issued by ELAH. 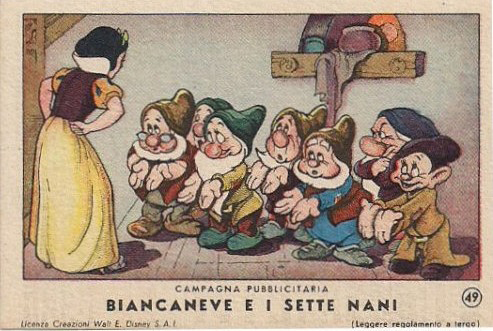 A magazine ad for Snow White candy, produced in Italy by Pernigotti in 1962. The "Biancaneve" font style was the same used in the promotional material for the Italian theatrical re-release that year. The candy was sold in color packs which contained "the cute fairytale characters". 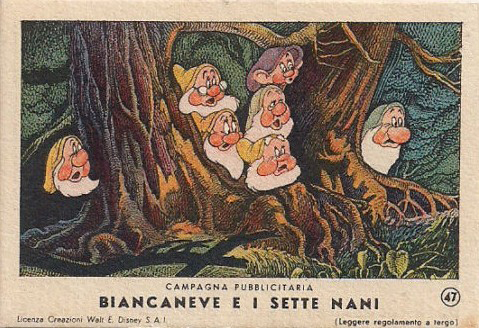 The small print in the upper left reads--"Studio dalla Costa"--which is the advertising agency that designed the ad. 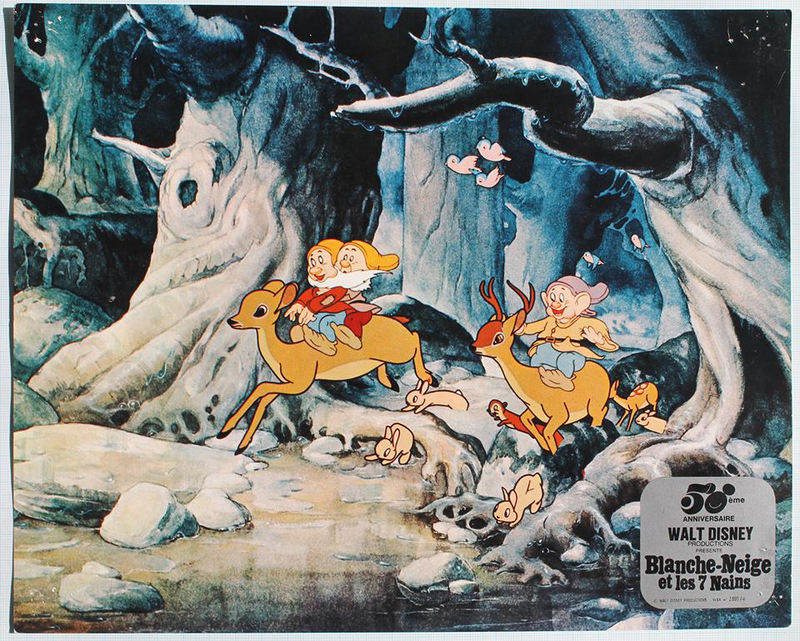 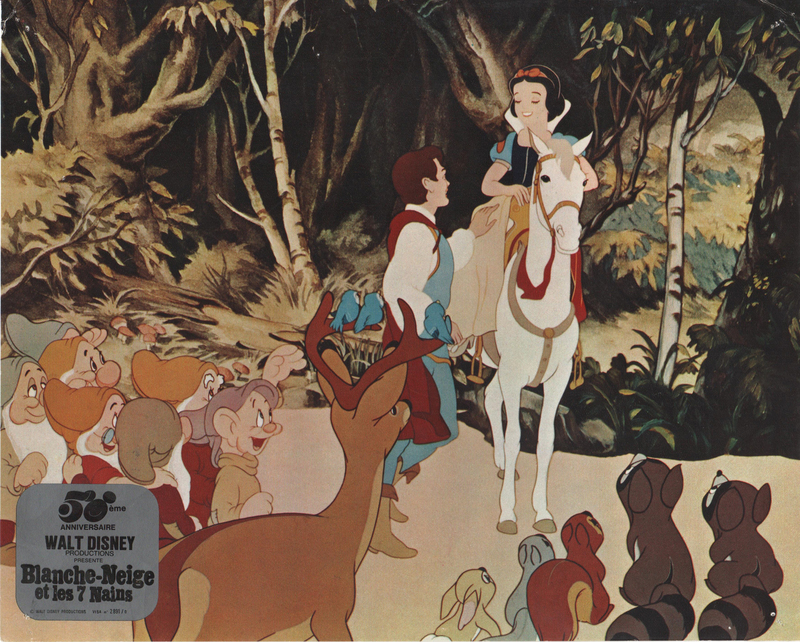 For the December 5, 1973 re-release of Snow White in France, two sets of lobby cards were made available to theatre owners--Series A and B. Each card included the Walt Disney Company 50th anniversary logo. 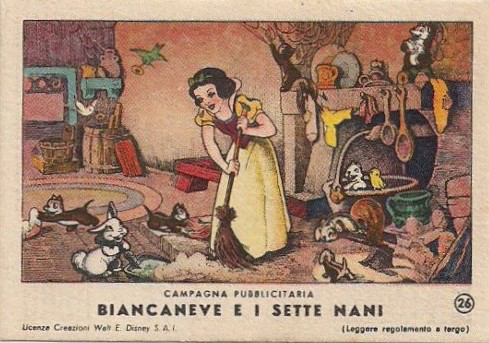 Nine cards per set. 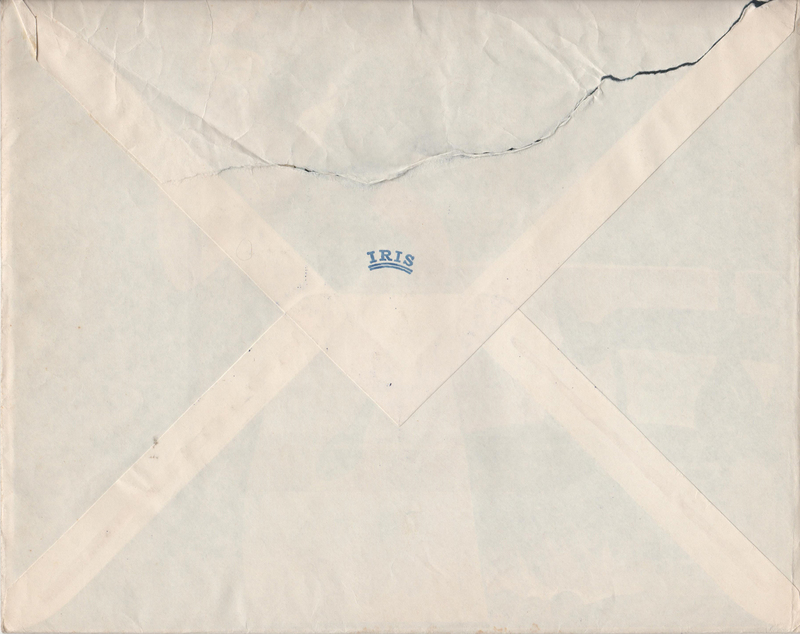 Dimensions: 24 x 30 cm. 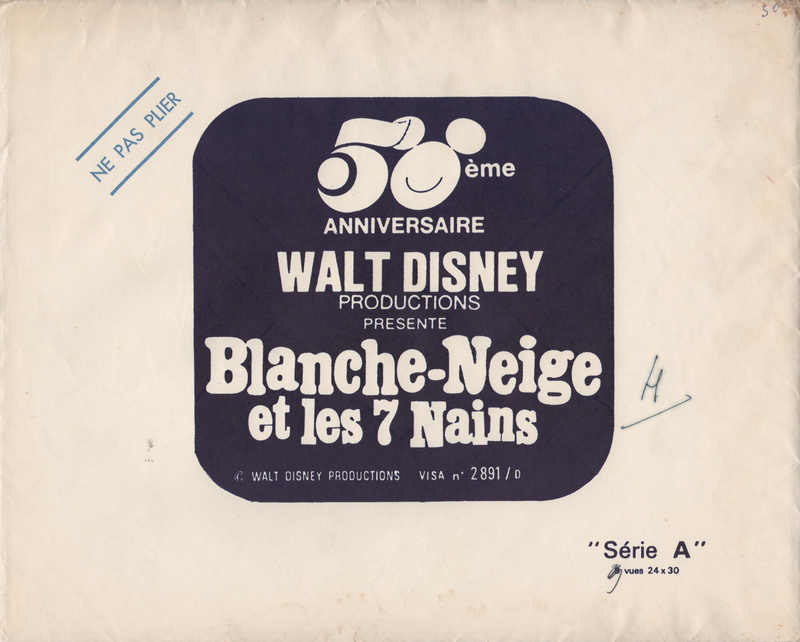 Distributed by Walt Disney Productions. There are no markings on the cards to identify which series they belong to. 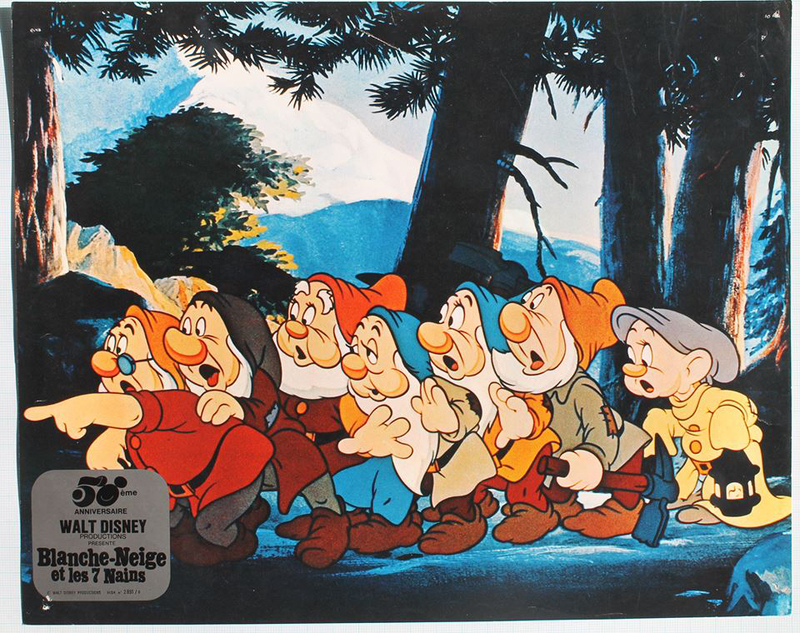 Below are fifteen out of the eighteen in the collection (still looking for three more). 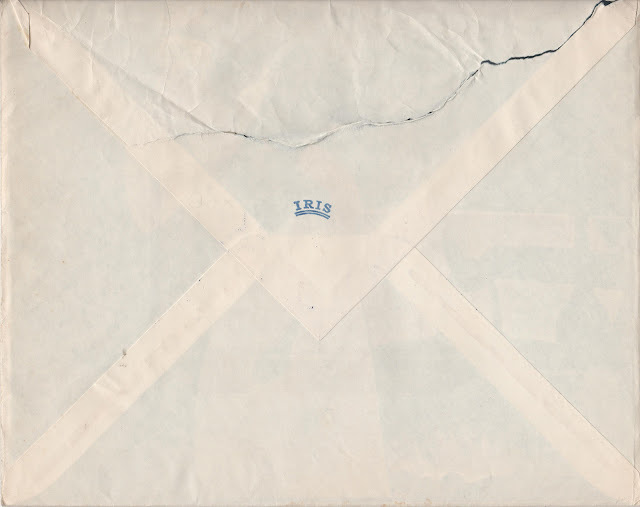 The lobby sets each came in their own envelope marked Série A or B. 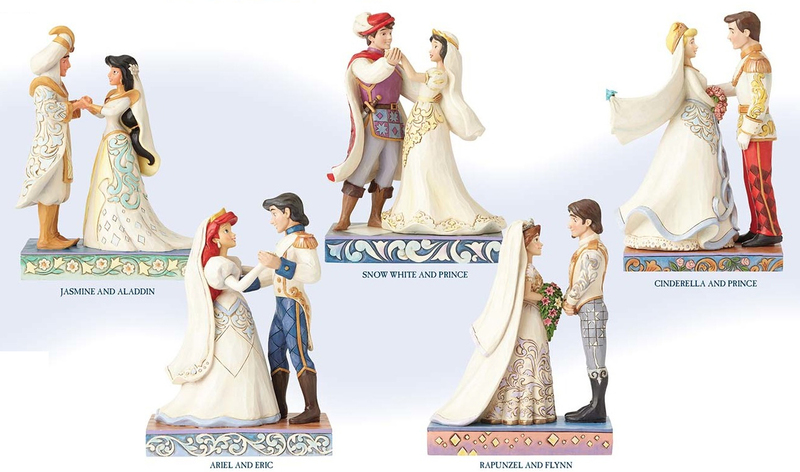 Also on the front is displayed the 50th anniversary design. Scans courtesy of Greg Philip of A Lost Film. 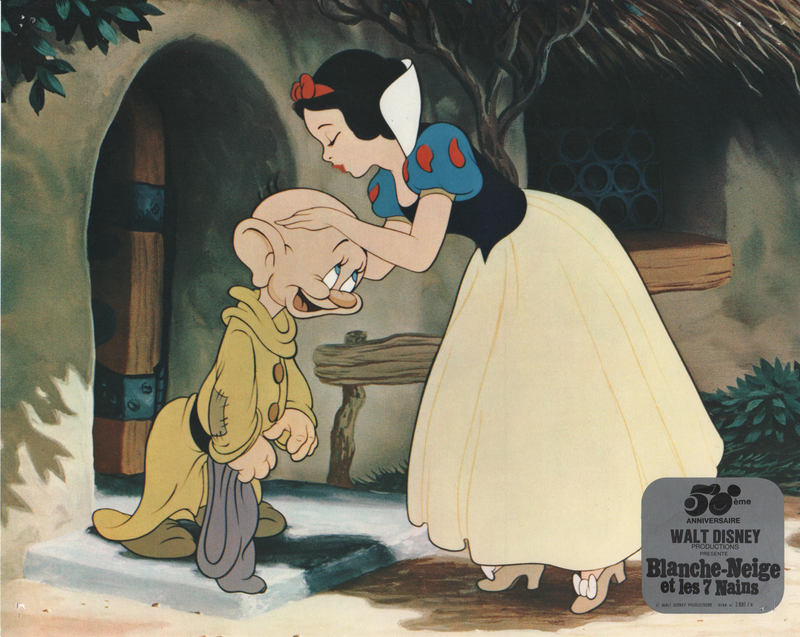 Additional images and info from the Edgar Winkler Collection.